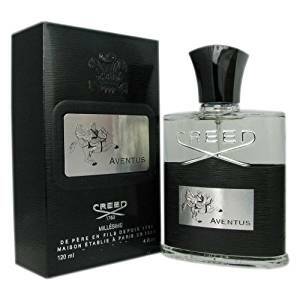 Probably Creed Aventus is one of the the best fragrance for men.The container design is similar to other Creed bottles. Niche houses tend to maintain a fairly uniform design; neither Creed makes a difference. Glass has a good weight, being easy to use and kept. It is slightly sharp, with clear glass elements, combined with black and metal treatments. Creed fragrances are, in general, fairly expensive perfumes, and Creed Aventus does not come out of this scheme. Obviously this should not discourage you because it is an absolutely exceptional perfume. Although Creed has approached a tropical concept with Creed Aventus, it does not immediately leap into the tropical fruit pool but also addresses sophisticated elements. Aventus is the best-selling perfume of the Creed brand and is specially created for strong men who follow the heights of success. If we were to make an analysis for “Aventus” we can see that the name is for those who want success and power and Creed Aventus gives you a boost and safety – A – “from” and Ventus – “the wind”. What this means? It is perfect for men who are driven by the desire of power, fame and always run for success and a well-lived life. Creed Aventus Packaging In Glass: Fruit opening, with a smoky skin background and an earth accent. Applied: Fruits, almost tropical and probably helped to go in this direction by the pineapple note. The opening smells like a feminine perfume with a hidden masculinity that comes out of the smell of fresh fruit and catran.